What's the big deal about setting fence posts? Sounds easy enough. Question: What's the big deal about setting fence posts? Sounds easy enough. Anyone who has ever tried setting fence posts in the ground properly can appreciate the challenge involved. We need to take a closer look at how to do the job properly. I enlisted someone who builds fences for a living to help with this answer. Setting fence posts so that they're plumb and evenly spaced is part of the challenge. But surprisingly, even digging holes and filling them with concrete is fraught with difficulties. The problem begins with the shape our holes normally take. The top of the average hole that you dig is bound to be wider than the bottom since you have easier access to the top portion. The result is a V-shaped hole. Novices anticipate no problem in setting fence posts in such holes, then filling the holes up with concrete. But when you fill those V-shaped holes with concrete, you end up with V-shaped hunks of concrete. And in areas subject to frost heaves, this can be an invitation to trouble down the road. The trouble begins when frost starts to heave your concrete upwards, using the tops of those V-shaped concrete footings to grip them (since the tops form a lip). Dirt then slips in beneath the concrete. Your fencing is raised as a result. The process is then repeated next winter, raising your fencing a bit further. And so on. Eventually, your concrete footings will be significantly elevated beyond where they should be, resulting in instability. 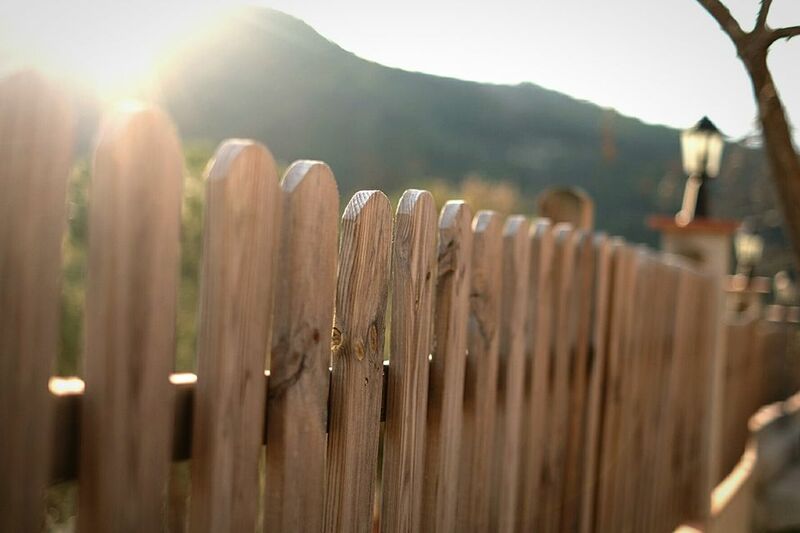 Of course, such movement will never occur evenly along the whole course of your fencing, resulting in yet another problem: your fencing will no longer be level.